This is where you try to show that the thing you’re trying to prove in general works for a specific case. Here a simple case is to show my formula works if n = 1. If I plug this into my suspected formula, I get as desired. Often times the base case is generally plugging in what you know/a relatively simple case where your statement holds true. This is the ”meat” of the argument. Here we want to show that if I assume my formula/statement works up to a point (call this point k) then it must work for a point up to (k + 1). The key part here is that we are assuming the thing we’re trying to prove already works up to k. Hence we can freely use the result we’re trying to demonstrate and the burden of proof is on us that our formula holds true for the next case. Going back to our example, we will assume that our sum formula holds up to k, namely the sum from 1 to k satisfies Our ultimate goal is to show that the formula holds true for k + 1. At this point, creatively comes into play. How might you start going above building up the next case from the previous case? In this instance we might suspect that a good way to start would be to add k + 1. Which is exactly what we tried to prove! (not that the variables etc are arbitrary). Stepping back, what have we shown? We’ve shown that if my formula holds for a point 1 to k I can show you that my formula will hold for k + 1. In my first base case I’ve also shown you that I know my formula works for k = 1. 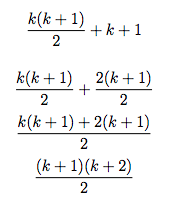 Combining this with the inductive, step I’ve showed that my formula point up to k = 1 then it holds for k = 1 + 1 = 2. But by the same logic I’ve shown that if k = 2 is true, then I can show you it holds for k = 2 + 1 = 3. We can do this ad nauseum and we’ve, therefore shown that my formula works for any positive integer n. See how we never had to go for each single case (integer) to prove this formula, it was sufficient to show how to build up from a smaller case (k) 2 to the next, larger case (k+1). This in general is a very powerful and common computer science technique used in algorithm techniques like divide and conquer. For the computer science example, we’ll take a look at mergesort and how to show that it’s correct. The questions to ask is 1) What is my base case and 2) what is my inductive step. 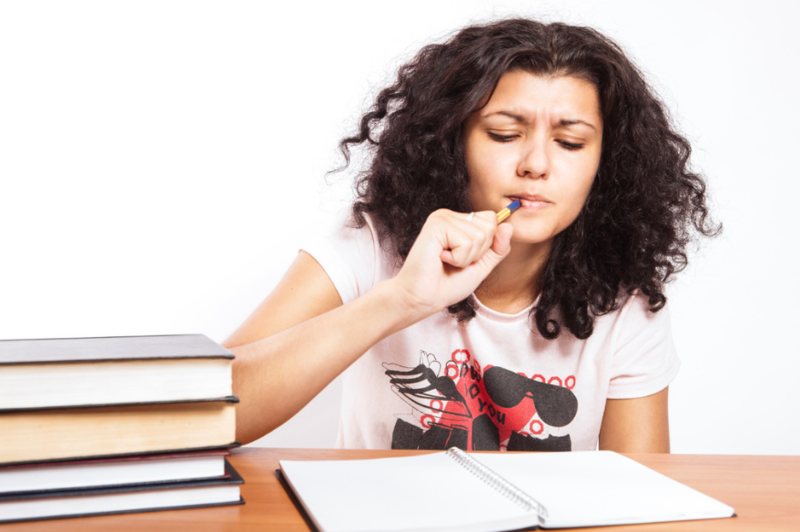 Are you looking for a CS or mathematics tutor to help you with inductive reasoning? Reach out today and get set up as soon as tomorrow!